Birth of a boy christened Donald George, who went on to become the biggest name in the sport. Don Bradman's feats don't need much repeating; in his case, bare statistics are enough, culminating in an astounding Test batting average of 99.94. He fell short of that figure in years, but not by much, when he died in February 2001. In his last Test at Lord's, Garry Sobers held his sixth catch in the match, equalling what was then a Test record for a non-wicketkeeper. A great fielder close to the stumps, he took 109 catches in his 93 Tests, to go with his 8032 runs and 235 wickets. In this Lord's Test he also made the last of his 26 Test centuries. West Indies won by the huge margin of an innings and 226 runs to take the series 2-0. Only the fourth Christian to play Test cricket for Pakistan was born - as Yousuf Youhana, although he subsequently changed his religion to Islam and his name to Mohammad Yousuf. After a difficult debut against South Africa in 1997-98, he quickly established himself as a stylish, world-class batsman and a pillar of Pakistan's middle order alongside Inzamam-ul-Haq. His most prolific year was 2006, when he made 1788 runs with nine hundreds, breaking Sir Viv Richards' 30-year-old record of most runs in a calendar year. After one too many run-ins with the Pakistan board, he chose to join the ICL, briefly. There was much legal wrangling when he decided to return to the official fold, but he was made captain for the 2009-10 series to Australia, though after Pakistan's diabolically poor performance, he was (along with Younis Khan) banned for life by the board. Yousuf's ban was overturned later in 2010, but he played only a few more matches and wasn't picked for the World Cup the following year. Apart from successes in the domestic Pura Cup and Sheffield Shield, Andy Bichel, who was born today, spent a lot of time coming in and going out of the Australian squad, but rarely stopped smiling. He was a more valued player in the one-day format and was almost unstoppable during the 2003 World Cup. Against England in Port Elizabeth, he claimed 7 for 20 with a scintillating display of bowling before sharing a 73-run ninth-wicket partnership with Michael Bevan to nurse Australia to an unlikely victory. However, Bichel disappeared quickly after his strange dumping from the national squad alongside Bevan at the end of 2003-04. Birth of Zimbabwe Test wicketkeeper Wayne James, who made what was at the time a world-record 13 dismissals for Matabeleland v Mashonaland CD at Bulawayo in 1995-96. Just in case anyone felt he hadn't quite stamped himself on the match, he also hit 99 and 99 not out. A record total of 489 runs, which included 32 sixes (also a record), were scored in the India-West Indies T20I in Florida - India's first international match on American soil. It was a thriller that India might have expected to win in front of a big expat crowd when they needed two runs off the last ball, with the cool MS Dhoni to face it. But Dwayne Bravo was cooler. Anticipating that Dhoni would look for the safe single to tie the game, Bravo bowled a slow dipping offcutter. Dhoni tried to push it to the off side but only managed an edge and was caught at short third man. The teams' big totals (West Indies 245 for 6) and India (244 for 4) were built on quick hundreds by two 24-year-olds. Evin Lewis, playing his second match for West Indies, made his in 48 balls, and India's KL Rahul in 46. South Africa's brilliant big-hitting allrounder Mike Procter equalled a world record that still stands, by hitting six consecutive sixes, spread over two overs, off Somerset's Dennis Breakwell in Taunton. Talking of six in a row, in 1970-71, Procter became the last of only three batsmen (the others were CB Fry and Don Bradman) to hit six consecutive centuries, another first-class record. Bowling at a furious pace "off the wrong foot", he took 26 wickets at only 13.57 in the 4-0 win over Australia in 1969-70, South Africa's last series until 1991-92. The birth of John Morrison, the New Zealand opening batsman and occasional left-arm spinner. The highlights of his 17-match Test career were twin fifties against Australia and England at home in 1974-75. He went missing after the third Test against India in Chennai in 1976 but made a comeback in 1982 during the home series against Australia - though with little success. In ODIs he was part of the 1975 and 1979 World Cup squads, and then spent time in the wilderness, returning for the Benson & Hedges World Series Cup in 1983, which proved the end of his international career. 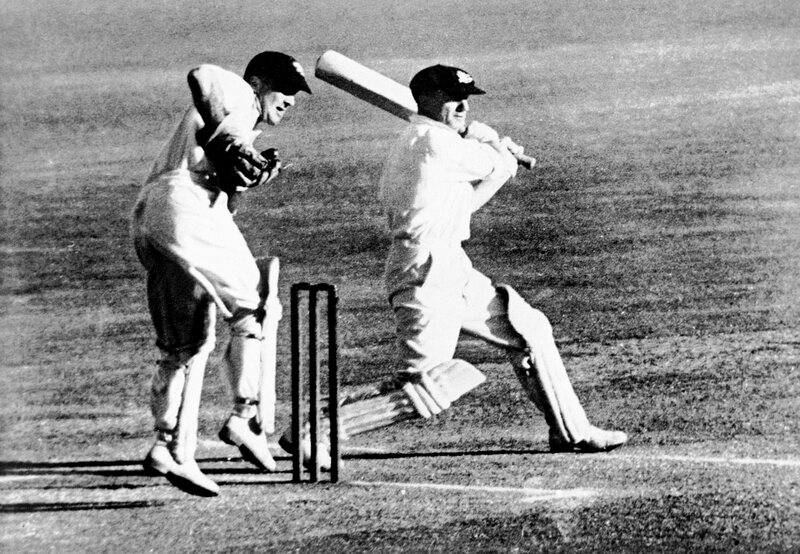 Birth of South African double-international Tony Harris, whose Test career was delayed by the Second World War. Before it, he made his name as one of the great running fly halves in world rugby, masterminding the Springboks' famous series win in New Zealand in 1937. England's women regained the Ashes after 42 years. In a tense two-Test series, they drew the first match, at Hove, and pulled off victory in the second, at Worcester. English teacher Clare Connor continued to lead a side that included her 15-year-old pupil and international debutante Holly Colvin, a spinner. That same summer England's men took back the urn from Australia, and so there was double cause for celebration. England allrounder Mark Ealham was born. Not a conspicuous success at Test level, he made his mark by taking 5 for 15 against Zimbabwe in Kimberley in 1999-2000, then the best figures for England in one-day internationals. All five of his victims were lbw, an ODI record for any country at the time. His father Alan, who captained Kent, was one of the best outfielders of his day. India continued their utter dominance on their tour of Sri Lanka, taking a 3-0 lead in the five-match ODI series with a six-wicket win in Pallekele. Jasprit Bumrah's first five-for ensured that Sri Lanka's decent platform fizzled out into an underwhelming 217. But India stumbled in the chase - to 19 for 2 and then 61 for 4. Thereafter, Rohit Sharma and MS Dhoni steered them home, but not without a final twist - this one provided by the crowd. In the 44th over of the chase, a section of disgruntled home fans began throwing bottles onto the field, causing a 35-minute break in play. Rohit and Dhoni needed just seven balls after the resumption to seal the victory, the former finishing with an unbeaten 124.